We are proud to announce the confirmed speakers of ARES 2011! Dr. Eugene Spafford is a professor with an appointment in Computer Science at Purdue University, where he has served on the faculty since 1987. He is also a professor of Philosophy (courtesy), a professor of Communication (courtesy) and a professor of Electrical and Computer Engineering (courtesy). He serves on a number of advisory and editorial boards. Spafford's current research interests are primarily in the areas of information security, computer crime investigation and information ethics. 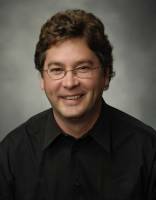 He is generally recognized as one of the senior leaders in the field of computing. 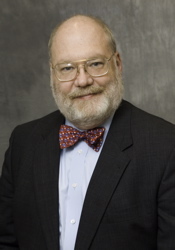 Spaf (as he is known to his friends, colleagues, and students) is Executive Director of the Purdue CERIAS (Center for Education and Research in Information Assurance and Security), and was the founder and director of the (superseded) COAST Laboratory. 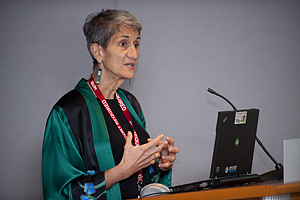 As of 2007, Spaf is also an Adjunct Professor of Computer Sciences at the University of Texas at San Antonio, and is Executive Director of the Advisory Board of the new Institute for Information Assurance there. Further keynotes of ARES 2011 will be announced soon.